Writer: Jon B. - G. Stewart - P. "Silky" White - S. Carter / Composers: Jon B. - G. Stewart - P. "Silky" White - S. Carter / Other contributors: Jon B. for Vibzelect - Manny Marroquin - Steve MacCauley - Booker T.
℗ 2003 S. Carter Enterprises, LLC. ℗ 2000 S. Carter Enterprises, LLC. ℗ 2007 S. Carter Enterprises, LLC. 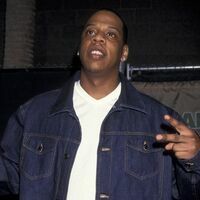 2004 Warner Bros. Records Inc. and Roc-A-Fella Records, LLC. ℗ 2002 S. Carter Enterprises, LLC. ℗ 2001 S. Carter Enterprises, LLC. ℗ 1997 S. Carter Enterprises, LLC. ℗ 2008 S. Carter Enterprises, LLC.